People have been brushing their teeth for thousands of years! In fact, the first “toothbrush” was created around 3000BC! Ancient civilizations used a thin twig with a frayed edge to rub against their teeth for cleaning. 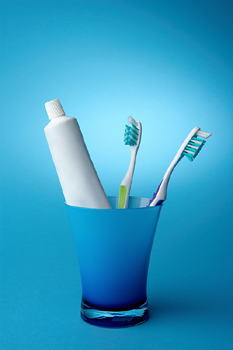 The first toothbrush with bristles – similar to today’s toothbrushes – was invented in 1498 in China. Brushes were made out of bone or bamboo with bristles made from the hairs on the back of a hog’s neck. It wasn’t until 1938 that the first nylon bristle toothbrush was introduced and people quickly became aware of practicing good oral hygiene.